My thinking is little changed. Below is the amount of freezing rain up until 6am Sunday. I believe the worst of it will be to the west and north of the yellow line. I do not want to commit myself to Nebraska/Iowa yet...that part of the storm is still a long ways out. In southeast Kansas, the Missouri Ozarks and adjacent areas of Oklahoma, there will be lot of rain. 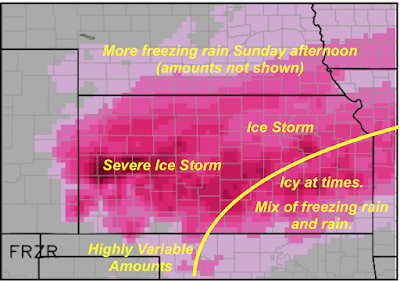 The rain, which can wash away ice, makes forecasting ice accumulations very, very tricky. 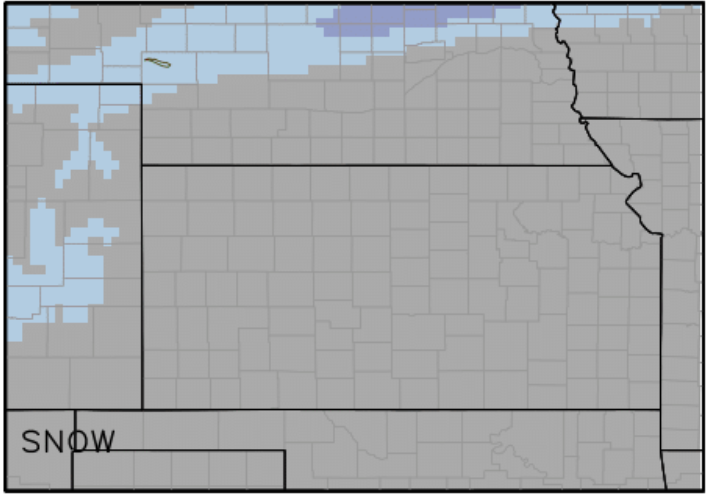 We are forecasting little snow in the Great Plains before 6am Sunday. However, late Sunday and into Monday night, significant snow will fall. 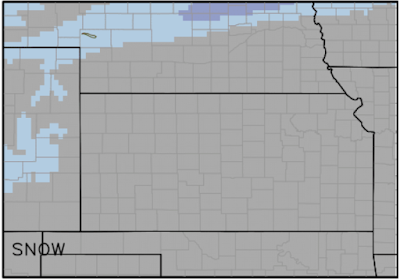 Snowfall (above) to noon Sunday. Snowfall to 9pm Monday. 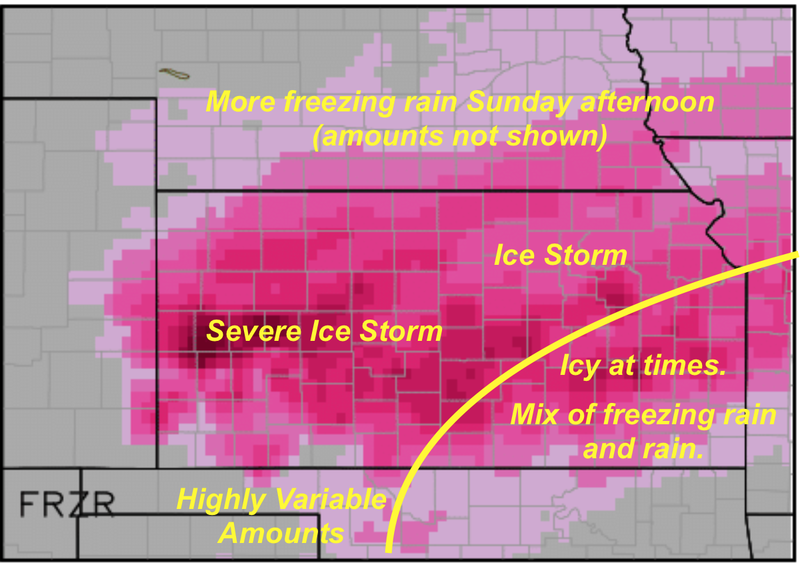 Note: heavy snow could make the ice storm problems worse. Please see below with regard to preparatory actions.